So, what if I were to tell you that there is a way you can be on social media for an hour and in the process, grow your clientele and your business? It’s all about implementing a strategy and learning to manage your time while staying focused on your goal. Little do you know, your target audience is at your fingertips when it comes to Facebook. Facebook seems to have a group for every little thing in every community. It’s just a matter of narrowing it down to your niche and what it is you are looking for. Where will you find your clients? What are your clients interested in? Instagram and Twitter allow you to search for your target audience by hashtags. Sometimes it can be difficult to find what those are, or the people you want to reach may not even be using hashtags. Facebook makes it so much easier to locate multiple people who fit your target audience all in one place. And after researching this, I found that more people are more reluctant to join a group of people who share their interests rather than using a hashtag to stay connected. Facebook Advantage: The ability to establish connections INSTANLY with Facebook. So we’ve established how awesome Facebook groups are because they provide you with an easy way to find your target audience. Another amazing perk of Facebook groups is that you have a place where you can conduct research or get feedback for the projects that you’re working on. It’s very easy to conduct, and you make it easy for members to participate because all you’re asking them to do is like your post. Across the internet, you’ll see professionals emphasizing the importance of surveying your audience and creating products/services that they need. But who do you survey when you have a tiny social media following or a non-existent email list? This is where you start to survey the people in your Facebook groups which you’re a part of. Use that group to conduct the market research you need, and pretty soon everyone will be heading over to you for the help they need. Facebook Advantage: Be the expert people are looking for. Just because you don’t have thousands of followers on each of your social media platforms or ten thousand page views per month doesn’t mean that you don’t know what you’re talking about. 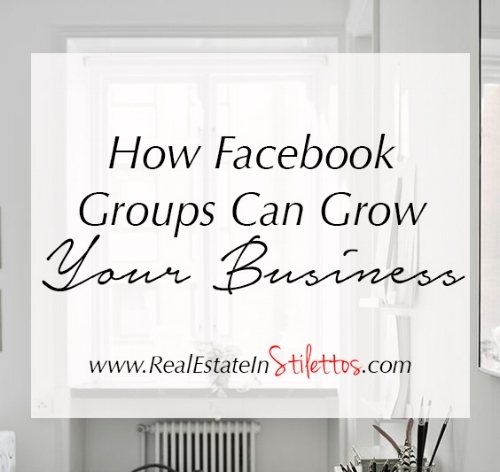 You can begin to showcase your expertise not only on your website, but also inside your Facebook groups. This is best done in groups with 5,000 members or less. Anything above that and there are so many posts that you just can’t keep up with them all, and it will be tougher to be noticed. Keep active and answer questions people may have in the group. This is how people will get used to seeing your name (again, in the larger groups not so much) and think that you really know what you’re talking about and will feel inclined to take a look at your profile and see what you’re all about. Facebook Advantage: You can easily book more clients. When you launch your business, you’ll want to direct your target audience to that service/product. Getting people to engage in your post is as easy as asking a question relating to the product/service in the group you’re a part of. It’s always good to request that group members send you a private message if they want to discuss further so you can communicate one on one. You can also link your website if you posted an article on the content you are marketing to the group. Many groups have rules against linking directly to your landing page or product cart, so make sure you abide to the rules of each group. A direct message works just fine because more often than not the original poster will message you, and if they take the time to do that, you have a pretty good chance of building a relationship. Once again, I’ve seen this done over and over again. And the awesome thing that happens is more members will reply to your post and ask that you send the information to them or they will message you themselves. Facebook Advantage: Makes marketing to your target audience easier. As a business owner, marketing and promotion ranks pretty high on the priority list, especially when you are first starting out. There’s no reason to turn away free promotion, which is exactly what you have available with Facebook groups. Facebook groups allow you to promote your blog/product/service on designated days, and some even offer daily promo days. These promotional threads can also be for your social media accounts to help you grow your following. It’s always nice to return the favor and check out other members’ social media and blogs, as some groups may require that you do this to stay connected with the group. So how can you take all of this information and make it work for you? We still hold fast to the belief that you should pick no more than two Facebook groups that you are going to learn from and position yourself as an expert in. It’s really hard to look like an expert in 10 Facebook groups. For the additional groups that you join, take advantage of the promotional days and be sure to share the love by visiting businesses within your group as well. This is a strategy that we wish we would have implemented from the beginning, because it has proven to be immensely helpful. An easy way that I keep track of the promotional days in each of the Facebook groups that I’m apart of is by adding it to my monthly editorial or marketing calendar. You can always add it as a reminder in your iPhone as it alerts you without having to look at your editorial calendar. What I love about Reminders is that they literally will not go away until you acknowledge them (like you can say remind me in 5 minutes, in another hour, tomorrow, etc), and incomplete reminders will show up both on your iPhone and your computer (if you have a Mac). I use Facebook Groups to stay in touch with my communities. It’s nice to stay in touch with neighbours and use their service or business as opposed to using a business you don’t have a connection with. I’m active on several Facebook Groups, but three of these have my constant attention. I always say, find what works best for you and become an expert at it.